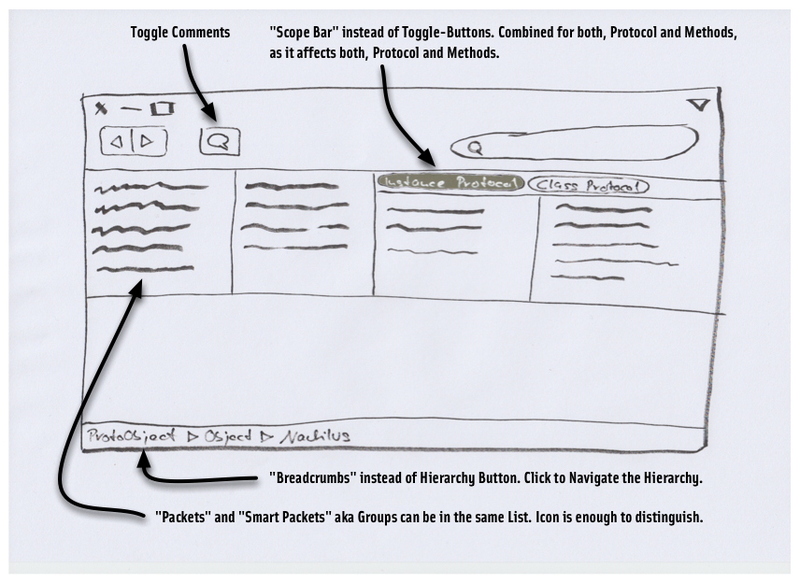 >> So after finishing art school i propose a better UI in the attached drawing. > Breadcrumbs!, I want breadcrumbsss!! > And search bar. And back/forward buttons. > And other custom stuff which others can put at toolbar via plugin mechanism. >> Good Luck with the exams, Helene. >> Sent from the Pharo Smalltalk mailing list archive at Nabble.com.